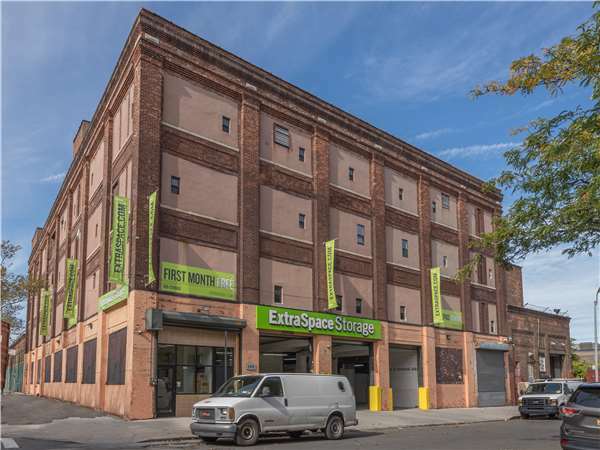 Located at the corner of Wales Ave and E 142nd St just off Bruckner Expy, Extra Space Storage serves Bronx residents near Mott Haven, Woodstock, Port Morris, Hunts Point, Forest Houses, and more! 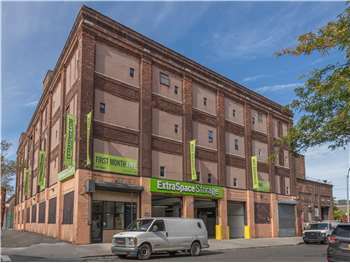 Locals will recognize our facility a few minutes south of Saint Mary's Park and Mott Haven Community High School near Bronx Tow Pound. tyesha bryant was the sweetest store manager. she helped me get started with my first ever storage space very professionally, patiently and even followed up on me via phone call. she couldn't have done anything else to make my first ever storage experience better. "I-278 W/Bruckner Expy W toward Triboro Br. Then 1.86 miles Take EXIT 48 toward E 138 St. Then 0.29 miles Merge onto Bruckner Blvd. Then 0.07 miles Take the 1st right onto Southern Blvd. If you reach E 141st St you've gone a little too far Then 0.04 miles Turn left onto E 142nd St. If you reach Saint Marys St you've gone a little too far Then 0.05 miles Take the 1st right onto Wales Ave. If you reach Concord Ave you've gone a little too far Then 0.01 miles The property is on the left. If you reach Saint Marys St you've gone a little too far"
" I-87 S/Major Deegan Expy S toward Triboro Br/Queens. Then 4.29 miles Take EXIT 1 toward Brook Ave. Then 0.15 miles Stay straight to go onto E 134th St. Then 0.21 miles Take the 3rd right onto Saint Anns Pl. Saint Anns Pl is just past Saint Anns Ave Then 0.05 miles Take the 1st left onto Bruckner Blvd. Picanteria El Botecito Corporation is on the corner Then 0.35 miles Keep left at the fork to continue on Bruckner Blvd. Then 0.26 miles Turn left onto Southern Blvd. Southern Blvd is just past E 141st St If you reach E 149th St you've gone about 0.3 miles too far Then 0.06 miles Turn left onto E 142nd St. E 142nd St is just past Bruckner Blvd If you reach Saint Marys St you've gone a little too far Then 0.05 miles Take the 1st right onto Wales Ave. If you reach Concord Ave you've gone a little too far Then 0.01 miles The property is on the left. If you reach Saint Marys St you've gone a little too far "
"1. Take I-95 S toward Geo Washington Br. Then 2.08 miles 2. Keep right to take I-95 S/Bruckner Expy S toward G Washington Br. Then 0.64 miles 3. Merge onto I-95 S/Cross Bronx Expy W toward G Washington Br/Newark NJ. Then 1.87 miles 4. Take EXIT 4B toward Rosedale Ave/Bronx River Pkwy. Then 0.19 miles 5. Merge onto Cross Bronx Expy. Then 0.17 miles 6. Stay straight to go onto E 177th St. Then 0.30 miles 7. E 177th St becomes Sheridan Expy S. Then 1.84 miles 8. Sheridan Expy S becomes I-278 W/Bruckner Expy W. Then 0.62 miles 9. Take EXIT 48 toward E 138 St. Then 0.29 miles 10. Merge onto Bruckner Blvd. Then 0.07 miles 11. Take the 1st right onto Southern Blvd. 1. If you reach E 141st St you've gone a little too far Then 0.04 miles 12. Turn left onto E 142nd St. 1. If you reach Saint Marys St you've gone a little too far Then 0.05 miles 13. Take the 1st right onto Wales Ave. 1. If you reach Concord Ave you've gone a little too far Then 0.01 miles The property is on the left. 2. If you reach Saint Marys St you've gone a little too far "
"1. F D R Dr N. Then 0.19 miles 2. Merge onto FDR Dr N. Then 6.29 miles 3. Take the Willis Ave Br exit, EXIT 18, toward I-87/Deegan Expwy. Then 0.30 miles 4. Merge onto Willis Avenue Bridge. Then 0.08 miles 5. Willis Avenue Bridge becomes Willis Ave. Then 0.09 miles 6. Turn slight right onto E 132nd St. Then 0.18 miles 7. Turn right onto Bruckner Blvd. 1. Apple Auto & Truck Care is on the right Then 0.62 miles 8. Keep left at the fork to continue on Bruckner Blvd. Then 0.26 miles 9. Turn left onto Southern Blvd. 1. Southern Blvd is just past E 141st St 2. If you reach E 149th St you've gone about 0.3 miles too far Then 0.06 miles 10. Turn left onto E 142nd St. 1. 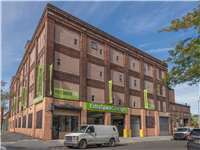 E 142nd St is just past Bruckner Blvd 2. If you reach Saint Marys St you've gone a little too far Then 0.05 miles 11. Take the 1st right onto Wales Ave. 1. If you reach Concord Ave you've gone a little too far Then 0.01 miles Property is on the left. 2. If you reach Saint Marys St you've gone a little too far "